Preparations from Ivy leaf, or Hedera helix as it is known botanically, are well established for the relief of productive or chesty coughs. Discover more about the exclusive EA 575 extract used in Flordis Prospan. Hedera helix is a climbing evergreen plant that is native to most of Europe and northern and central Asia. It’s a familiar garden plant to many people, and bears an association with the festivities of Christmas since Roman times. It was also a symbol of fidelity in Ancient Greece, presented to newlyweds. It is important to acknowledge that these results apply exclusively to products containing the EA 575 extract, which is made using a patented production process to ensure a consistently high quality medicine from batch to batch – the same reliable medicine tested in numerous clinical trials to provide chesty cough relief. Careful attention is paid at every step of creation to help ensure a consistently high-quality product from one batch to the next. 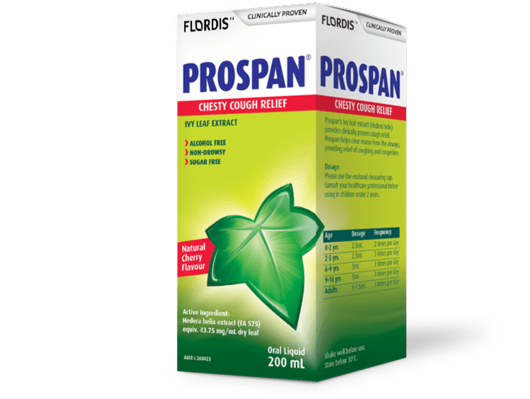 *Check with your healthcare professional if Prospan products are right for you. Always see a doctor if you suspect a more serious condition, or if symptoms or coughing persist. 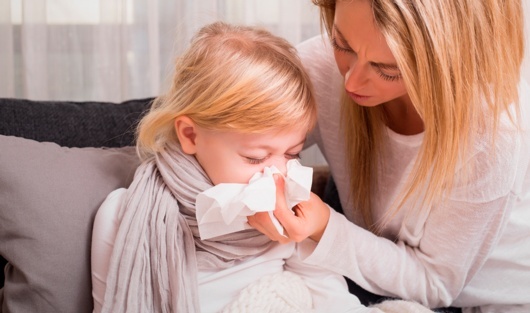 of cough, expectoration, breathing symptoms due to a cold. *Prospan and Prospan for Children are not to be used in children under 2 years without medical advice. Prospan Menthol and lozenges are not to be given to children under 6 years. Prospan Drops are not to be given to children under 12 years. These medicines may not be right for you. Read the warnings before purchase. These can be found in the dosage sections of the Prospan product web pages. Follow the directions for use. If symptoms or coughing persist, talk to your health professional. Natural healthcare products can vary considerably depending on how they are produced. The specific EA 575 extract used in the Prospan range is produced using a rigorous and controlled process with careful consideration at every stage of creation. Lang C, et al., Planta Med 2015;81:968-974. Lang C, et al., Zeitschrift für Phytotherapie 2015;36:192-196. Schaefer A, et al., Pharmazie 2016;71(9):504-509. Bolbot Y, et al., Drugs of Ukraine 2004;11:1-4. Kraft K. Zeitschrift für Phytotherapie 2004;25:179-181. Maidannik V, et al., Pediatrics, Tocology and Gynecology 2003;4:1-7. Meyer-Wegener, J et al., Zeitschrift für Allgemeinmedizin 1993;69:61-66. European Medicines Agency, Committee on Herbal Medicinal Products, EU herbal monograph on Hedera helix. Retrieved from link. Gaedcke F. Deutsche Apotheker Zeitung 1991;131:2251-2255.